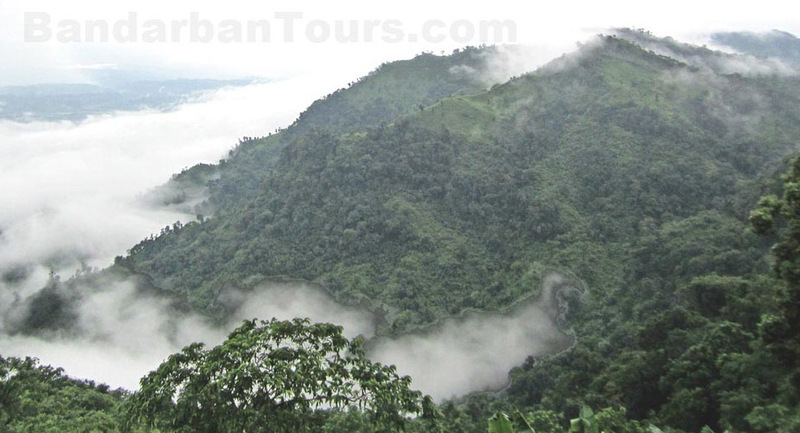 Hiron Point (Nilkamal) for tiger, deer, monkey, crocodiles, birds and natural beauty. 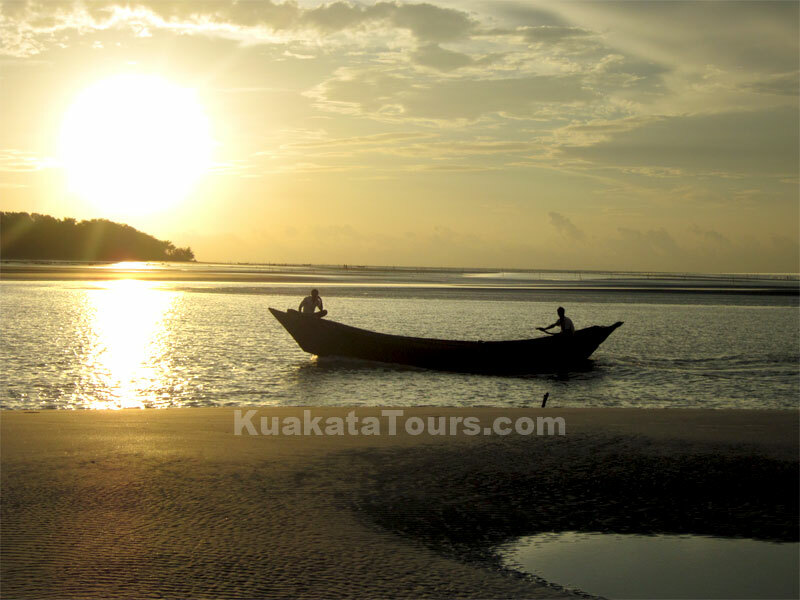 Katka for deer, tiger, crocodiles, varieties of birds and monkey, morning and evening symphony of wild fowls. Vast expanse of grassy meadows running from Katka to Kachikhali (Tiger Point) provide opportunities for wild tracking. 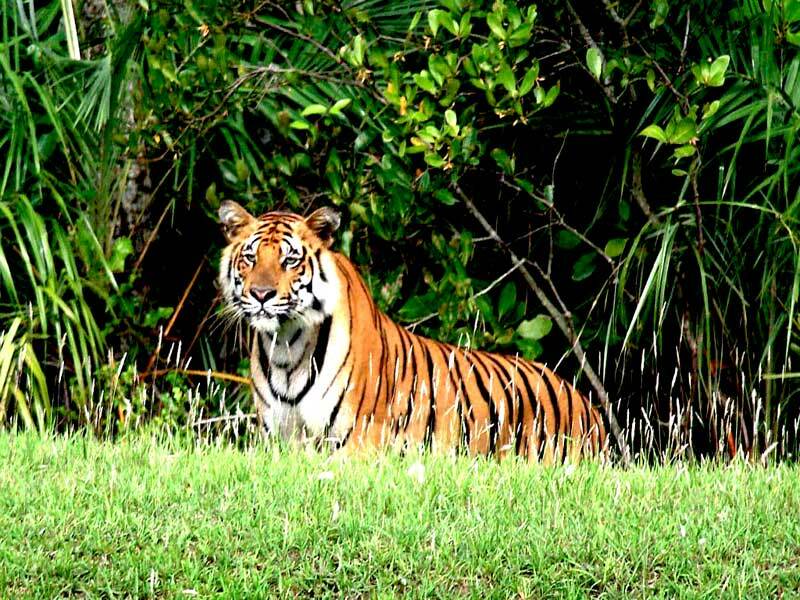 Tin Kona Island for tiger and deer. Dublar Char (Island) for fishermen. 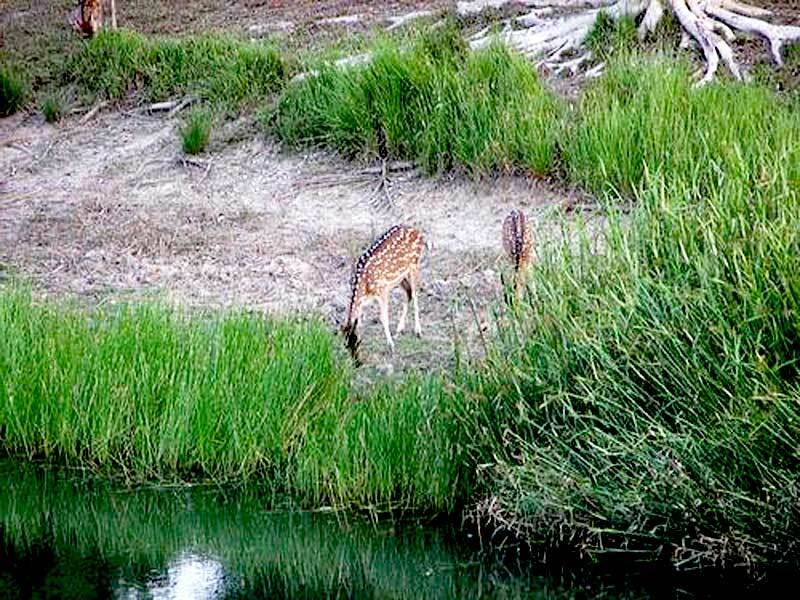 It is a beautiful island where herds of spotted deer are often seen to graze. 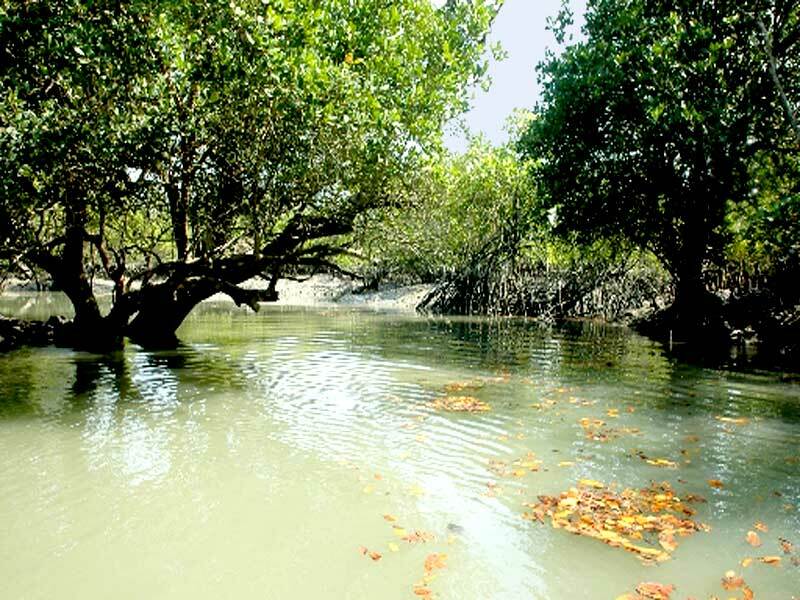 The Sundarban (Bengali: সুন্দরবন Shundorbôn) is the largest single block of tidal halophytic mangrove forest in the world. 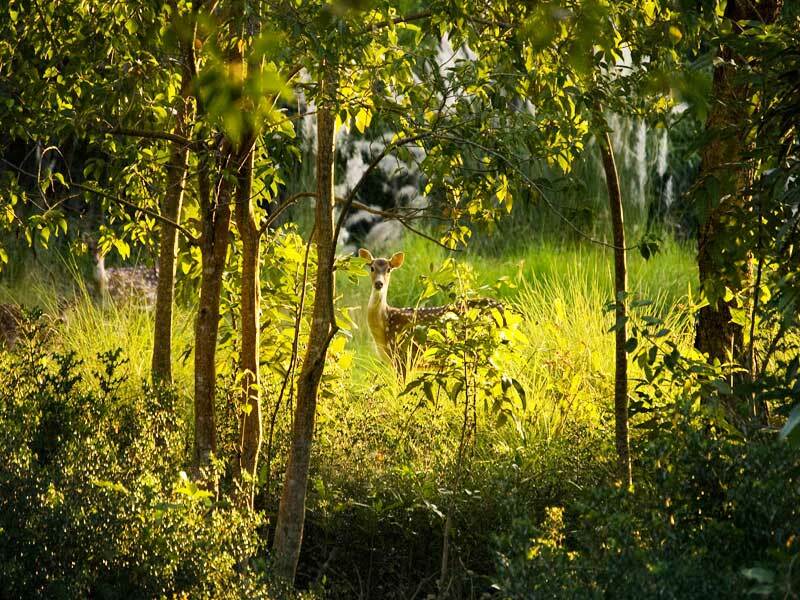 The name Sundarban can be literally translated as “beautiful jungle” or “beautiful forest” in the Bengali language (Sundar, “beautiful” and ban, “forest” or “jungle”). 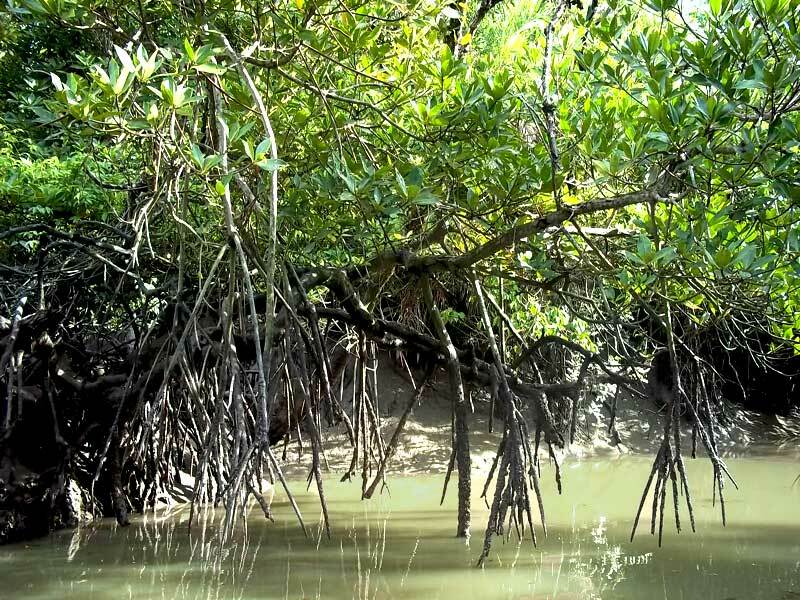 The name may have been derived from the Sundari trees that are found in Sundarbans in large numbers. Alternatively, it has been proposed that the name is a corruption of Samudraban (Bengali: সমুদ্রবন Shomudrobôn “Sea Forest”) or Chandra-bandhe (name of a primitive tribe). But the generally accepted view is the one associated with Sundari trees. 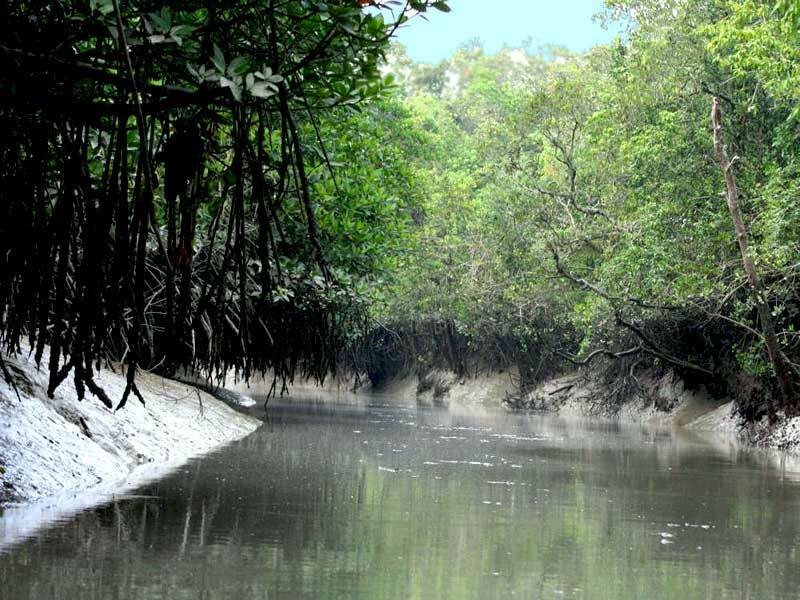 The largest mangrove forest in the World (140,000 ha).World famous Royal Bengal Tiger’s homeland and about 400 tigers live in sundarban. 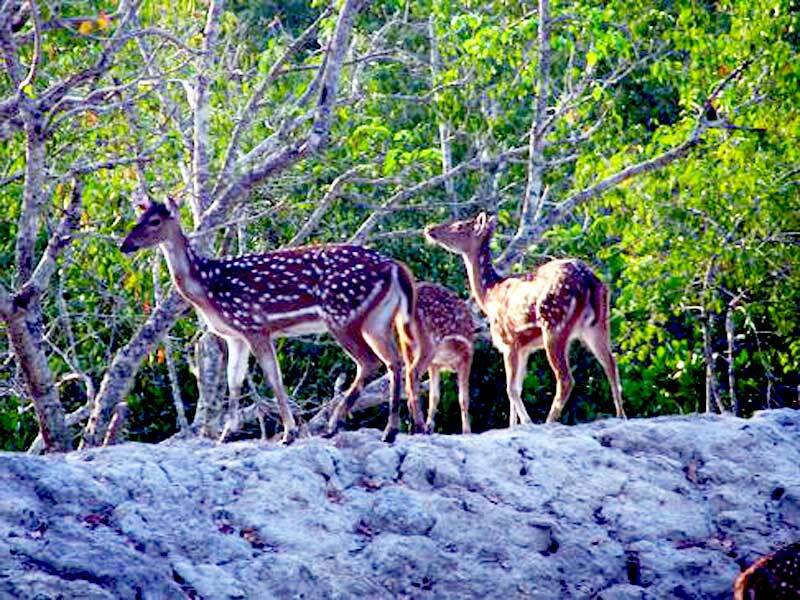 About 30,000 beautiful spotted deer live in sundarban. 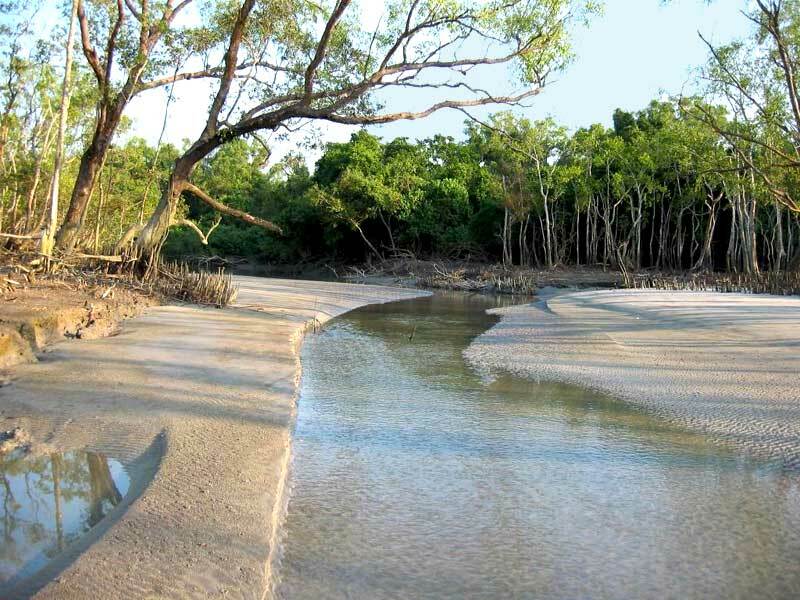 There are over 120 different species of fish in Sundarban. 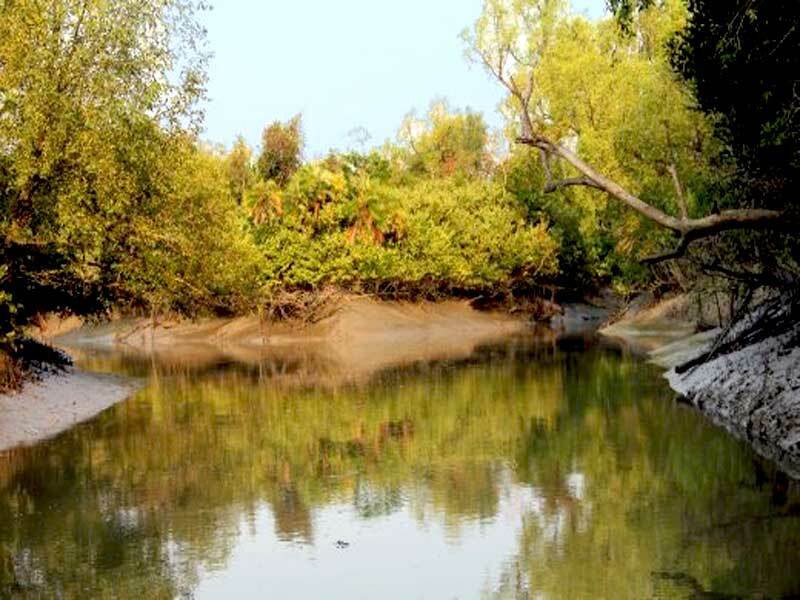 In Sundarban, not less than 270 variety of birds are found. 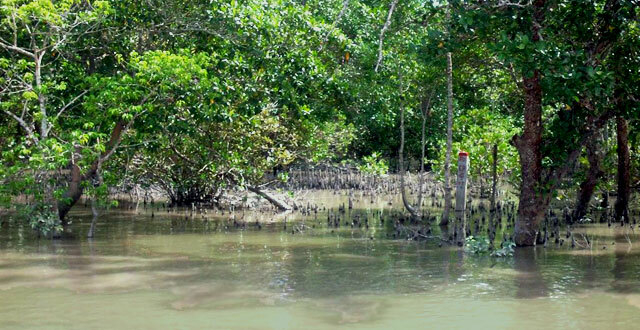 More than 50 species of reptiles have found in Sundarban. 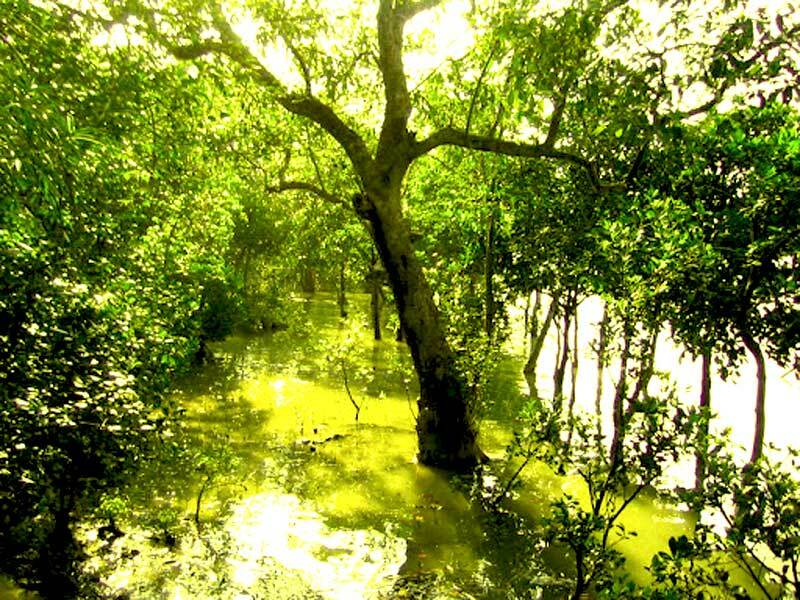 Eight species of amphibians are known occur in Sundarban. 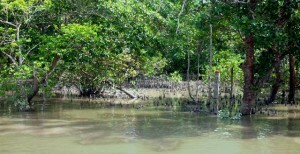 The Sundarban now supports the only population of the Estuarine or salt water Crocodile in Bangladesh. Permission from the Divisional Forest Officer (DFO). 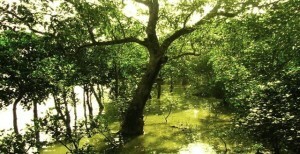 Khulna is required to visit the forest. Cholera vaccine is to be taken well in advance. 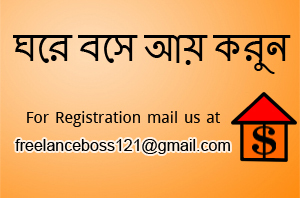 Anti-malaria, anti-diarrhoeal, insect repellent cream, drinking water, green coconut, medical kit, light tropical dress, thick rubber soled boots etc. are to be carried with the tourist. 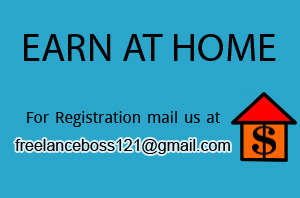 It will be wise to take the help of an experienced guide to make the journey fruitful. 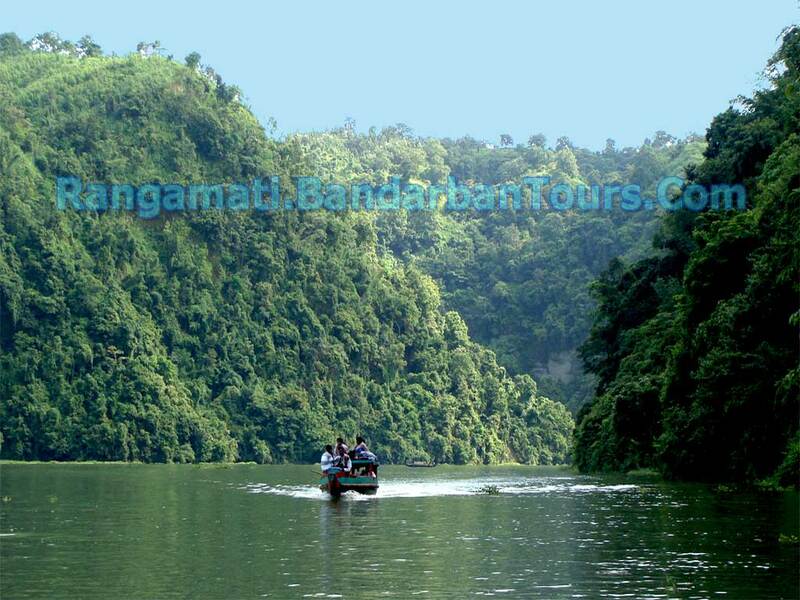 North-Bagerhat, Khulna and Sathkira districts : South-Bay of Bengal; East-Baleswar (or Haringhata) river, Perojpur, Barisal district, and West-Raimangal and Hariabhanga rivers which partially form Bangladesh boundary with West Bengal in India.